Construction site theft is a widespread risk that developers face. With contractors, subcontractors and day labour on site, the potential for unauthorized access is high. This puts tools and materials at risk, not to mention the safety of individuals. Imperial Security is able to strengthen site security with a number of services, from security guards that provide a 24-hour on-site presence to access control services that manage site visitors. The most vulnerable period for any construction project is the several months prior to lockup, the moment when windows, doors and all other ingress points are sealed. To ensure site security, 24-hour surveillance is required. This reduces the risk of property crime as well as fire and other calamities. While many projects install security cameras to provide surveillance, foot patrols provide a visible site presence that discourages crime and provide greater awareness than a standard camera. Imperial Security guards, trained in government-approved courses, are aware not only of what to look for, but what to listen for and how to respond. All guards carry a mobile device with an app that allows prompt recording of observations, complete with time and location. During the course of a working day, security guards can also provide lock/unlock services, opening a site to workers at the beginning of the day and ensuring it’s clear at the end. This is true both before and after lockup of the project itself, prior to the installation of electronic alarm systems. Once a site opens to workers, Imperial Security staff provide access control to ensure only the workers supposed to be on site are present. This reduces the risk of theft and injury. 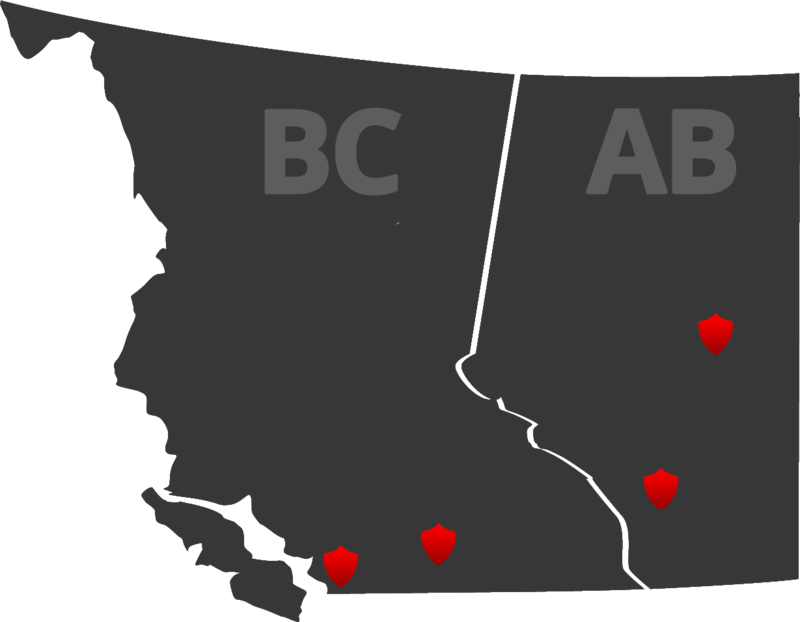 With more than 25 years of experience in British Columbia and Alberta, including the leading construction markets of Metro Vancouver, Calgary and Edmonton, Imperial Security has the expertise and experience to protect development projects of all kinds. It has a commitment to innovation, developing tools to meet the evolving needs of clients. With the increasing complexity of urban construction projects, it is able to develop security plans tailored to meet the specific demands of projects large and small.